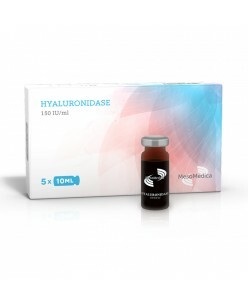 Hyaluronidase is an enzyme that digests hyaluronic acid fibers. It is used in mesotherapy to breakdown the connective tissue bands that create the dimpled appearance of cellulite. It increases tissue permeability and promotes the spread or dispersion of other injected drugs. Hyaluronidase can be used to dec..